Your wedding reception will be quite the celebration! Festive entertainment, gorgeous décor, delicious cuisine; it will certainly be an event to remember. However, in order for your big day to be a true success, you will want to ensure that it is planned to perfection! The Venue. In order to create a wonderful wedding reception, you will first need to discover the perfect venue! When choosing yours, keep space in mind, as you will want to ensure that your guests can walk and mingle with one another comfortably. In addition, you will want to have enough space for all of the tables for your guests, along with a dance floor. With the right venue, your big day is sure to be a success! The Food. Your wedding guests will certainly be anticipating your delicious cuisine! It’s important to keep in mind that you will have an array of guests attending your big day, and they all have their own taste. So, it’s best to present a variety of proteins, such as chicken, beef, and seafood. In addition, keep dietary restrictions in mind, such as vegetarian and gluten-free menu options. If all of your guests have a delicious bite to eat, they will certainly be satisfied! The Entertainment. Great entertainment is a must for your big day! The most important entertainer to book would be a DJ, as you will want your guests to enjoy dancing the night away. In addition, consider presenting unique elements of fun, such as a caricature artist, lawn games, and a photo booth. Great entertainment is a sure-fire way to ensure that your guests fondly remember your big day. Hosting a successful wedding reception is certainly of importance! These are just a few tips to assist you with doing so. 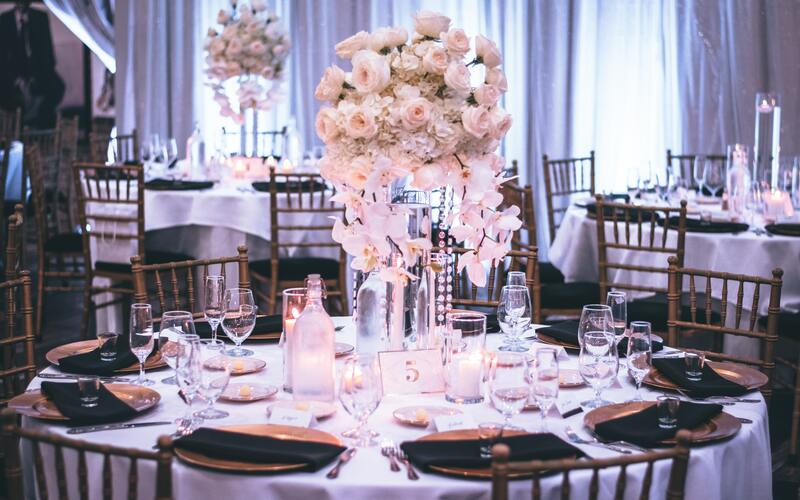 If you are ready to discover your Columbus wedding venue to host your own celebration, such as Brookside Golf & Country Club, please contact us here at Engaged Columbus. With an array of wedding venues in Columbus, Ohio, we would be honored with the opportunity to assist you with discovering yours.